The Old Town Crier didn’t make it too far down the road last month! 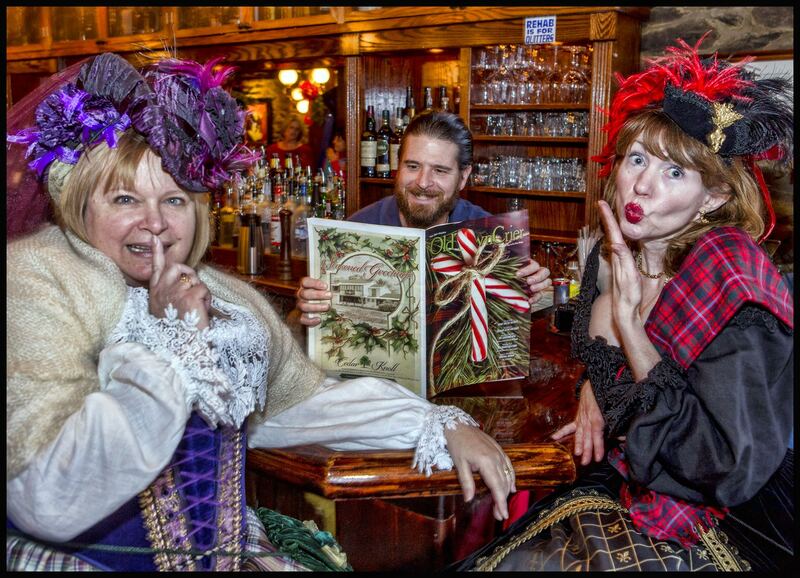 One of our favorite mixologists, Mitchell Hughes of Landini Brothers Restaurant in Old Town Alexandria fame, entertained two fine Scottish lasses with the December issue during Scottish Walk Weekend. This photo by Chester Simpson was just too good not to print!